Gingivitis is otherwise called gum disease. It is a problem that is characterized as the inflammation of the gum line that surrounds the teeth. This condition is the mildest type of gum problem that can affect the health of the periodontium, which are the tissues that are found in the areas surrounding the teeth. This will include the gums, soft tissues and bone. The problem is usually due to poor oral hygiene. However, we should keep in mind that there are some systemic conditions that can make a person more prone to gingival infections. Please note that almost every person has some amount of plaque on his or her teeth. Even so, not every person will develop gingivitis. People with a weakened immune system will be more prone to develop this problem. Those immuno-compromised individuals who have HIV, Addison’s Disease, cancer, diabetes and other forms of disease are more likely to have periodontal problems. Malnourished people are likely candidates as well. Anorexic and bulimic individuals are prone to gingivitis and a slew of other oral infections. Hormone changes caused by puberty, pregnancy and steroid therapy may increase the likelihood of developing gingival infections. Some types of medicine may increase one’s chances of developing periodontal diseases. People taking maintenance for high blood pressure and seizures may develop gingival complications. Some types of medicine that are needed for organ transplant viability have been known to cause gingivitis as well. Plaque must collect in the inter-dental spaces, the areas between the teeth, which are hard to clean. Chronic dryness or xerostomia may also encourage bacteria to develop. Remember that the saliva acts as a cleaning agent of sorts. Therefore, a person with a dry mouth is more likely to develop dental caries or gingival infections. Although gingivitis is present because of many factors. This one is by far the main cause of the disease. There are over 500 types of microorganisms present in the normal oral cavity. These types of bacteria may cause gum inflammation. While they are normally found in the body, the presence of plaque and tartar will give them the perfect environment to grow and multiply. The nutrients found in food debris will give them the nourishment they need to multiply. Since the body’s defenses normally handle a smaller amount of bacteria, a large-scale volume would now easily be controlled. Gum disease is a process of infection wherein the immune system of the human body feels overwhelmed, due to the increase in the volume of bacteria. These organisms begin to invade the deeper regions like the periodontal ligaments, bone and inner soft tissues. Please note that this type of condition can range from mild to severe. At times, it develops into ANUG or Acute Necrotizing Ulcerative Gingivitis. This is a potentially life-threatening condition and painful as well. The infection is caused in part by the immune system. It sends bacteria-fighting cells to combat the foreign invaders. Please note that inflammation will always be present in gum disease, however you may not notice it. During the first stage, the salivary proteins or antibodies make a valiant effort to defend the body by coating the bacteria. This action weakens the invading organisms and makes it easier for the immune system to kill it. During this period, chemicals are released into the bloodstream. This is done to alert cells to come to the area and join in the battle. Macrophages are cells that ingest or eat the bacteria. They use natural chemicals to render them powerless. However, although they usually succeed in their endeavor, it should be noted that the chemicals will also harm the connective tissue found within the area. A natural treatment is preferred when available. Although gingivitis is the mildest form of periodontal disease, it can develop into chronic cases of gum recession and periodontitis. Once bacteria have attacked the surrounding periodontal ligaments, teeth will feel loose and some patients will notice slight movements, especially when they are chewing food. The long term effects of periodontitis is tooth loss and severe health complications. One cannot stress how important proper dental care techniques are in the fight against gum disease. Brush your teeth after every meal. Keep in mind that you need to brush for 2 minutes or more to remove all traces of plaque. Once you have brushed your teeth, flossing should be performed to remove plaque. You should also ask your dentist about using liquid toothpaste instead. This will make it easier to clean those hard-to-reach places. If you prefer to use a toothpaste with natural components, ask your dentist to recommend one that contains almond oil, peppermint, and spearmint oil. 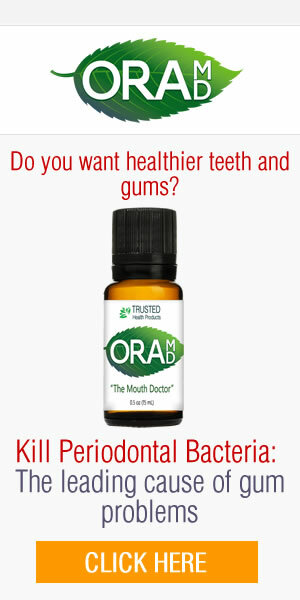 These organic compounds fight bacteria and help control bad breath. Lastly, remember to invest in a good anti-bacterial mouthwash, preferably one that is alcohol-free. Visit your dentist at least once every six months. However, if you notice any signs of gingival problems, schedule an appointment as soon as possible. Please note that although gingivitis can be treated, once the bone and soft tissue are destroyed; you will need to undergo lengthy and costly procedures to treat the damage. By consuming a well-balanced diet, you will give your body the nourishment it needs to fight against bacteria. Most dentists will recommend the anti-caries diet, which is a meal plan that contains foods with anti-oxidant properties, calcium, vitamin E, vitamin A and phosphorus, which are essential for strong bones and teeth. However, if you must have your sweets, do so in moderation and brush right after. People with compromised immune systems should consider visiting their doctor regularly, since there is a link between periodontal disease and other serious health conditions. Early detection will not only save their oral cavities from possible disease, but may also save their lives. Many people fail to understand that the mouth harbors more harmful organisms than any other part of the body. This is why most take oral conditions lightly. The best way to combat mouth infection is prevention and early detection. It is important to instill the value of a healthy oral cavity to the masses, in an effort to avoid the development of severe oral conditions, which can be prevented in the first place. Gingivitis is a silent but potentially life-threatening oral condition that usually goes unnoticed until serious damage has been done and it has progressed to periodontitis, which is the most advanced form of gum disease. However, a large number of the general public consider the symptoms as a minor inconvenience that will go away. It is important to realize that it is no laughing matter. You need to consider comprehensive plan for your family that integrates and sees the over benefits of staying current and investing in the best medical, dental and lifestyle choices. Prevention is key. What is NUG or Necrotizing Ulcerative Gingivitis?